Paula Gold-Williams believes in being ready to take on whatever challenges life throws her way. She has guided her career with a balance of careful preparation and a willingness to take chances, and earlier this year, it really paid off. Gold-Williams (B.B.A. ’84) took over as interim CEO when her boss left CPS Energy in fall 2015. In July 2016, she was named the permanent president and CEO for what is the largest publicly owned gas and electric utility company in the United States. 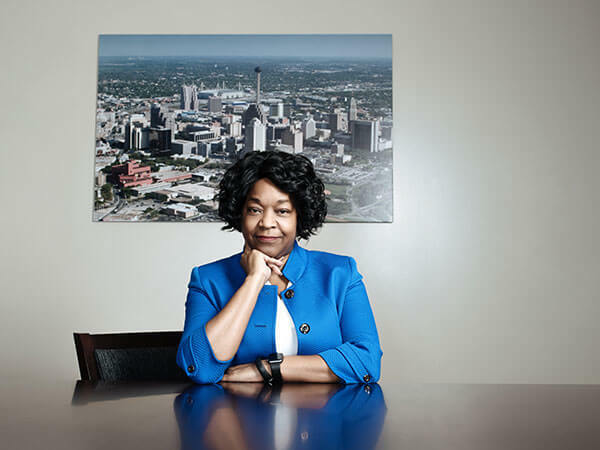 As head of one of the largest utilities companies in the nation, she oversees almost $11 billion in assets, $2.5 billion in annual revenue and about 3,000 employees. To say it’s a big job is an understatement. “I don’t run CPS Energy,” Gold-Williams said. “It’s the 3,000 employees who provide service every day. My job is to support them. CEOs have to be cognitive that we are not the core. The core is every single person doing their job. A native of San Antonio, Gold-Williams graduated from St. Mary’s University with a Bachelor of Business Administration in Accounting. She started off as an auditor, but quickly learned that she was the kind of businesswoman who wanted to help figure out new strategies and how to move forward. From there, she went into accounting, where her résumé included a who’s who of San Antonio companies: Time Warner Cable, Luby’s (now headquartered in Houston) and finally CPS Energy, to name a few. Working in a variety of industries has helped Gold-Williams understand how different kinds of businesses work and how she can contribute to them. Each of Gold-Williams’ previous roles played a vital part in her journey to the top. With a desire to continually learn, every job role, every project opportunity and every risk led her to the leadership role she holds today. Not being perfect gives you the opportunity to make that job your own. Don’t let perfection prevent you from taking on an opportunity. As a woman running a large company very much in the public eye — and a minority woman, at that — Gold-Williams is aware that she is a role model for other women and girls. However, when she first entered the business world, there were few women in public accounting for her to look to as examples. To her, the business world is still challenging for women, but nothing that can’t be overcome. “I think (it requires) learning how to be successful, learning from your mistakes and not thinking that you have to be perfect, but letting yourself be creative enough and able to take on risks,” she said. However, Gold-Williams encourages women in particular to take calculated risks. If there is anything Gold-Williams has learned, it’s to never turn down an opportunity. 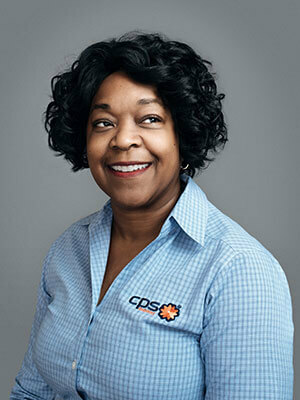 In her 12 years at CPS Energy, she worked her way up by saying “yes” to the opportunities presented to her. “My philosophy is: Just keep learning,” she said. In addition to her Associate of Fine Arts from San Antonio College and Bachelor of Business Administration in Accounting from St. Mary’s University, Gold-Williams has a Master of Business Administration. She is also a Certified Public Accountant and Chartered Global Management Accountant. Gold-Williams is chair of the Advisory Committee of Executives for the Greehey School of Business and continues to give back to the St. Mary’s community. She serves on numerous boards, including public television station KLRN’s board of directors. She is an advisory trustee for Southwest Research Institute and FM Global, and is a member to the San Antonio Medical Foundation.